A lot of résumé arrive on our HR Departments desk but unfortunately not all do. To ensure your attached file is opened without any issue the best way is to convert or save your résumé as a PDF. Generally this is a good practice because no matter what kind of computer or device is being used to view your file, all handle PDFs. 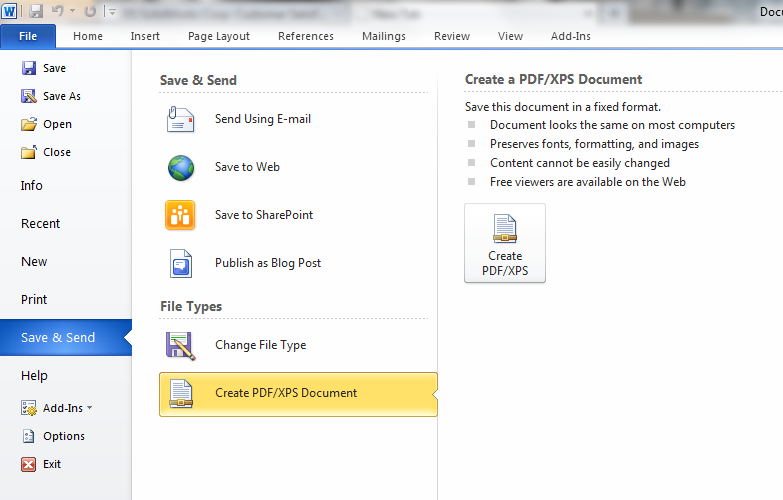 Here are a few of the most common ways to generate a PDF. CutePDF installs as a printer on your windows system. 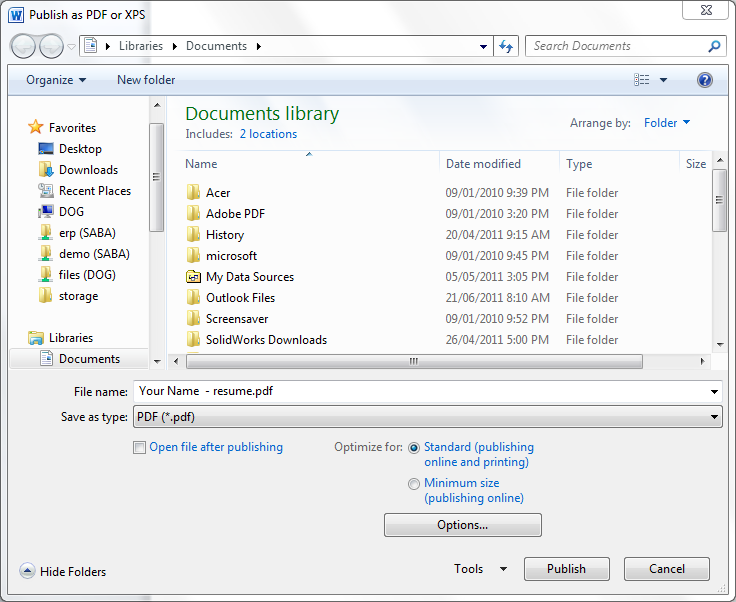 Open the file you want to convert to PDF or save as PDF . 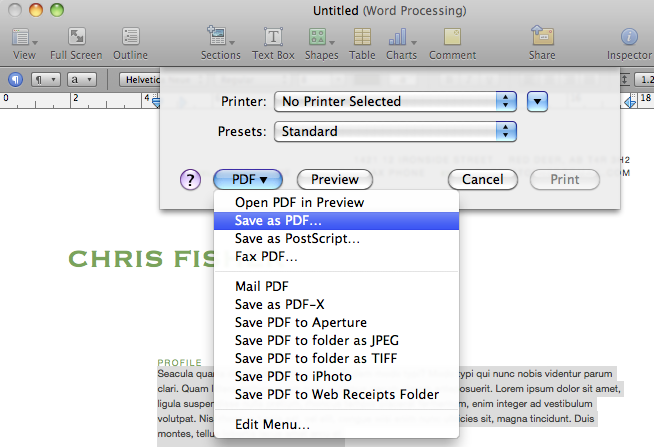 Do not use the quick print funtion but use the method through the menu ( typically FILE->PRINT ) choose cutePDF Writer as your printer and then a window asking you where to save the file. That’s it ! attach the newly created PDF . for earlier versions than 2010 use the CutePDF method. Choose the file location to save the to then Name the File ( always a good practice to add your name to the file name so its not just Resume.pdf ) choose PDF as the “save type as” option. Then click “publish” and you are done. Send it off! Mac’s have a built in PDF creation tool that works with any App on the Computer. To create the PDF you want to Print the document but when you choose the printer wou want to select the PDF option instead.